JetBlue is looking to add as many as 48 pilot candidates to its new training program in 2018. The program began a couple years ago to open up a pilot career to candidates that might not otherwise view it as an option. The Gateway Program is modeled after pilot training programs found in Europe. The Gateway Program process begins with online tests assessing the candidates math and science knowledge, cognitive skills, and spacial-orientation. After successfully completing the online test applicants then have in-person interviews to see if they are a fit for JetBlue Airway’s culture. Additional testing is also done on site. Selected candidates start with 30 weeks of flight training at CAE’s Oxford Aviation academy in Mesa, AZ. 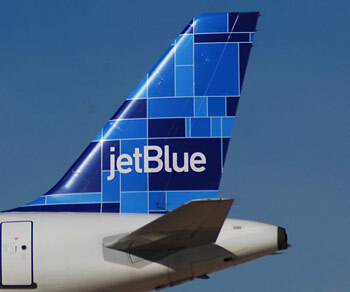 The next phase then has trainees return to JetBlue to learn how to fly either an Airbus A320 or Embraer E190. They then go back to CAE to earn their flight instructor certificates. After completing training the applicants then work for CAE to gain the needed flight experience to earn an Airline Transport Pilot License. “If you’re successful in this program, and successful going through it, it concludes with a first-officer position at JetBlue,” Christie said. The four year program costs the job applicant $124,000. This includes the training as well as food, lodging, and exam fees.